Why is VoIP Becoming More Popular to Small Businesses? Small Businesses strive to present a polished appearance to attract and maintain customers. One way to build a professional image is by implementing a sophisticated business telephone system. Often challenged by limited budgets, such a system has traditionally been beyond the reach of small businesses. 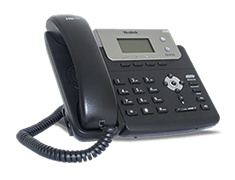 Fortunately, Voice over Internet Protocol (VoIP) technology has enabled new business phone services such as Ooma Office to emerge and provide a full-featured small business phone service at an affordable price. 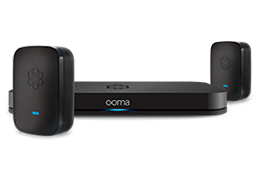 Ooma Office offers more features and a savings of 59% or more over its landline competitors! A typical small office might have one telephone number and three extensions, a dedicated fax line or credit card processing line, and a conference bridge. Once you factor in the cost of expensive IP phones along with installation and potential activation fees, getting started can come at a big cost. You can see the average cost of getting started outlined in the chart below. Using the small office use case, you can see the total cost of what you can expect to pay over two years for each of your options. Taking advantage of the unmatched features with Ooma Office will save your small business money while letting you present a polished appearance to attract and maintain customers. Nice article! Looking forward for more! Thanks for the information. I agree that one way businesses can build a professional image is through having a great telephone system. When I call a business and they have a system that is easy to understand an follow, I am more likely to continue to contact them. Small businesses should have the same opportunities to be successful that larger businesses do. I think that VoIP is becoming more popular due to the fact that it is easy to use. It doesn’t take long to set up and is quite easy to use. There are a lot of things that you can do with a system like that so it is important to know how it works.